Not a day goes past that from the East coast to the West coast, North and South, somewhere in the United States of America those who can least afford, or at many times, are undeserving of being harassed, abused, stolen from, deceived, looked over and/or "Pimped" by the system of "Help" in the USA and/or in this case, murdered by POLICE (Protect and Serve). Mr. James M. Boyd with his hands up. Just look at the fire power for "The Houseless". 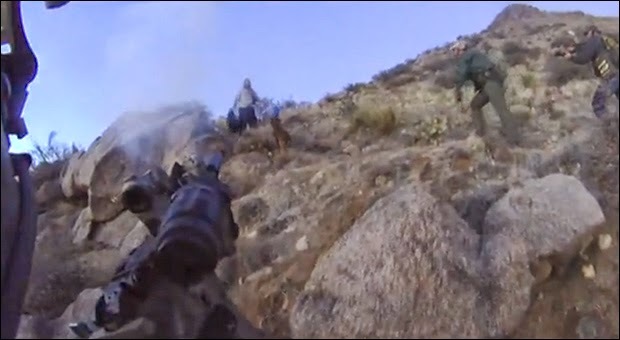 The following articles are about 38-year-old James M. Boyd who was fatally wounded (MURDERED) by Albuquerque police in the Sandia Foothills on Sunday, 16 march, 2014. Mr. Boyd, although apparently having some run-ins with police and being described as having mental issues, wasn't given any due process to prove himself innocent. Instead, he was gunned down by well equipped soldiers of the growing "USA Police State" where if you don't comply they way these nasty, demanding, controllers of humans demand, they apparently have no problems sleeping after murdering those who they deem worthless. Some of the police who took part in murdering Mr. Boyd have corrupt past themselves. So why are these nasty, murderous minded people on the "Protect & Serve" citizen paid for force? Mr. Boyd hasn't been the first "Houseless" person to be executed or have a life turned into dust by those who are of the system (business) of "HELP" and/or "Protect & Serve", but few are ever made known to the public for the very simple reason that the damage caused by those falsely presenting to the world of being righteous is controlled. Sometimes though, the evil forced upon another can't be contained. A personal experience of mine comes from the Department of State & out of Dandridge, Tenn. where those you seek out to help when in need didn't, but they didn't go as far to murder. Instead they did what they could bringing more suffering in hopes that their victim would resort to taking ones' own life or die along the way. That never happened and this TRUTH is coming their way and to you! It's shocking as well with who it involves and how over $190,00.00 of assets went wrongly into hands of the greedy. 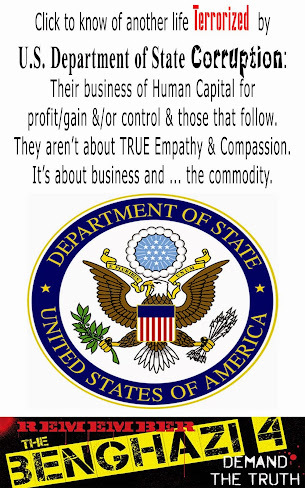 Also, the way out #Corruption within the Department of State. Jefferson County,TN "Protect and Serve" employees abused their jobs & the trust of others only to take advantage of a victim with just stopping short of MURDERING the victim. This horrible ordeal is coming, so please don't be distracted away from Mr. James M. Boyd being murdered by some of the same "Protect & Serve". New Mexico police are standing by their decision to shoot and kill 38-year-old homeless man James M. Boyd, who last Sunday made the ill-fated decision to shack up in the Sandia foothills due east of Albuquerque. “Boyd was arguing with police for more [than] three hours last Sunday in the foothills after officers went to talk to him about illegally camping in open space,” reports KRQE. But police soon grew weary of attempting to peacefully resolve the issue with the transient, who was approached as he was sleeping, and resorted instead to lobbing a flash-bang grenade, then firing a cascade of bullets as the man turned to escape, dispatching the supposed threat within a matter of seconds. 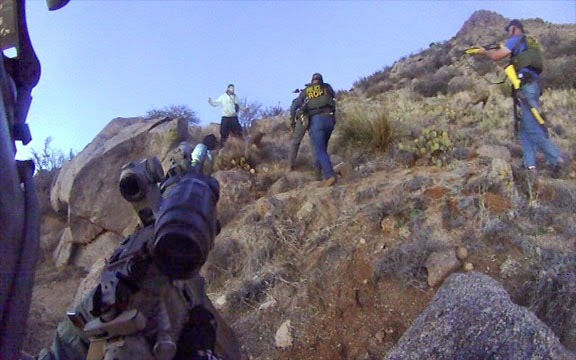 The shots come after a confrontation in which the man, identified as 38-year-old James Boyd, tells police he’s going to walk down the mountain with them. He tells officers he’s not a murderer. Boyd picks up his belongings and appears ready to walk down toward officers. An officer fires a flash-bang device, which disorients Boyd. Boyd appears to pull out knives in both hands as an officer with a dog approaches him. He makes a threatening motion toward the officer, then starts to turn around away from police. That’s when shots ring out, and Boyd hits the ground. Blood can be seen on the rocks behind him. After being rendered motionless, and even though the man can be heard moaning, “Please don’t hurt me,” and, “I can’t move,” APD officers proceed to fire beanbag rounds at Boyd, and sic their canine on him before stepping on his hand to make him release two small knives prior to handcuffing him. Police are convinced they were justified in killing Boyd and said they relied on various non-lethal methods before they opened fire with live ammo. 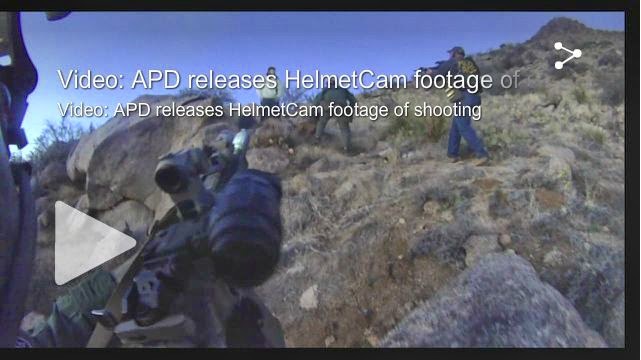 Meanwhile, APD’s release of helmet cam footage of the incident, which they say clearly shows Boyd posed a significant threat, is instead being regarded as a clear indication that the man was murdered in cold blood for a non-violent offense. Simonson says Boyd’s case should be considered in the Department of Justice investigation of Albuquerque PD for its use of force tactics. Police are still waiting on a medical investigator to determine Boyd’s precise cause of death. 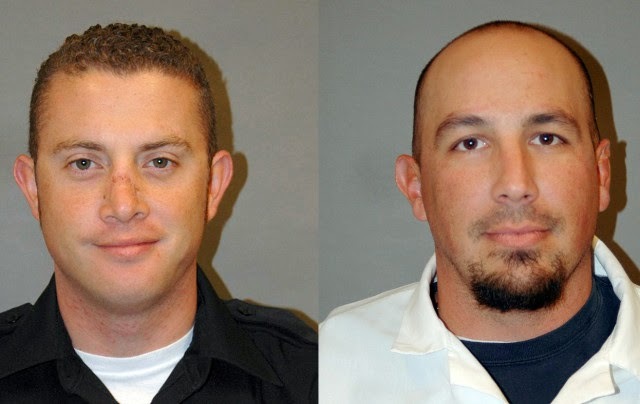 In the meantime, the officers who opened fire on Boyd are on leave. Watch Alex Jones’ special report on the out of control militarization of America’s police forces. The full range of info related to the above that will be listed below is being organized now, so please check back!